Your move, Snapchat and Periscope. Instagram is not playing around. It has grown to become a behemoth after being bought by Facebook over 4 years ago and it must find ways to make sure the now half a billion users don’t find the need to leave the platform. Yesterday, Instagram announced two new features: Disappearing photos and videos for Instagram Direct and Live Video. These are features that affect Snapchat and Twitter’s own Periscope directly in a big way. 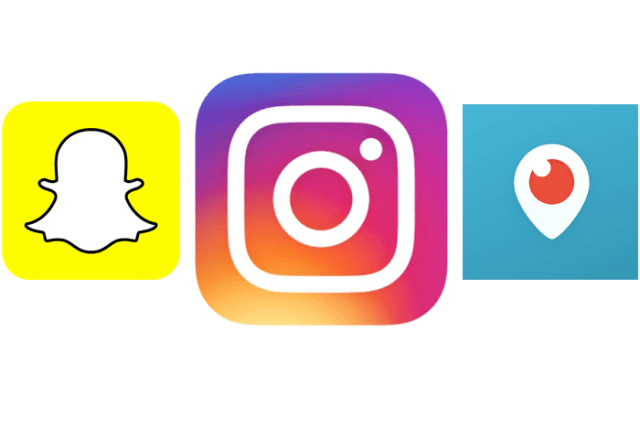 Snapchat is the biggest casualty with Instagram’s recent onslaught. Instagram started coming after Snapchat when they launched Instagram Stories in August, which was a copy of Snapchat Stories. It was obvious that they were not pumping the brakes yet to tackle Snapchat yet as they announced disappearing photos and videos, which was once Snapchat’s idiosyncratic feature. The Live video feature was only the icing to the cake as it targeted Snapchat’s Live Stories. Instagram has a bigger audience than Snapchat: 500 million versus the reported 150 million users on Snapchat. The photos and videos taken on Instagam are of higher quality than the ones taken on Snapchat. Your live stories will pop up on Explore, which according to Instagram is visited by over 100 million people monthly, so bigger audience. Current Instagram users will not see the need to use Snapchat or sign up for it, which is not good news for Snapchat. Instagram is more popular than Snapchat in developing countries. Snapchat has features that give it a leg up on Instagram like their Discover platform for users to consume news, fun geofilters that show where you are and their ridiculous Lenses which are updated weekly. These features can still keep the current crop of users happy, but Instagram could decide to add that soon judging from their current rate. Periscope is also in danger with Instagram’s foray into Live Video. The company introduced its live broadcasting app last year and after being acquired by Twitter, it has received several updates and tighter integration within the Twitter network. Although it has made it easier to start a live video broadcast from the official Twitter app, it is still not as intuitive as Instagram’s implementation. Technically, it has a bigger audience (500 million vs Twitter’s 300 million) and this could materialize when they decide to monetize. Starting a Live video broadcast on Instagram is way easier than Periscope. The former only needs a swiping gesture on the app, while the latter would need several taps on the Twitter app or by launching the separate app. Instagram’s Live video will probably be a better choice for most people out there than Periscope. Snapchat and Periscope now have the arduous task of making sure that their platforms survive Instagram’s increasing feature set, which is geared to make it an attractive platform for millions out there. Sure Snapchat has their rare Spectacles which will definitely amp how people share stories. Periscope has Periscope producer and their VIP program which is a bid to keep the influential people on the platform, but they still need to do more to prevent a situation like the mass exit of top Vine stars to other social networks. This is how old-school I am: I have only one account with one of these (Instagram), and I don’t even remember my password because I find it can’t beat Imgur. The only app I keep related to any one of them is Twitter. I even uninstalled Facebook and deactivated my account when my timeline became clogged with promoted content/shared promoted content and when it became mandatory to have to follow someone so that their posts could make it to my feed. The only social app that I would actually feel sad losing is Reddit. And Telegram. Twitter is just too time-consuming when it comes to digging for my preferred content.